OMG... this is it again.. 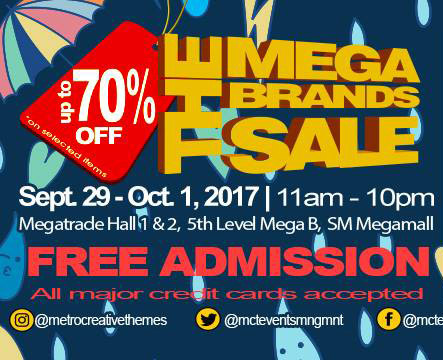 The great Mega Brands sale is going to happen this Sept. 19- Oct. 1, 2017 at Megatrade halls 1 & 2 at 5th level of Megamall B.!!! Start your Christmas shopping early. 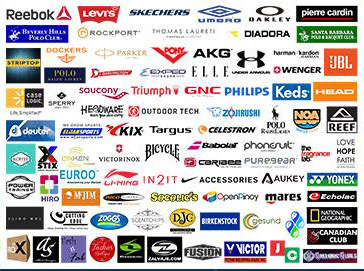 Lots of branded shoes, bags, clothing, makeup and more during the sale. Keeping awake all night to walk with an infant usually has adverse effects on you in the morning, which is the fate of most first time parents who are too worried about letting their babies cry. Well, the Ferber Method or Ferberization is a sleep training, which involves allowing an infant to cry to the point of exhaustion, this makes it a lot easier for the baby to fall asleep (self soothe). This practice has existed for years informally but was expanded on by Dr Ferber. Make your baby as comfortable as possible by feeding her before bedtime. It’s also advisable to switch off the light and use at most a night light. You are to stay out of the room for about 5 to 10 minutes after which you should enter the room and give your baby some comfort without removing her from the crib. Those nightly visits should not exceed 2 minutes to avoid encouraging the tantrums. Be warned that some babies would resist this training and might cry every night for up to a month. If this is the case then it is good for you to stop the training for a few weeks then restart when you think you baby would be more receptive to it. For more interesting information on the Ferber method, see the infographic below. What Should I Do To Build My Business? 1. Implement A Social Media Optimization Plan. One great way to build your business is by implementing a social media optimization plan. Doing so will ensure that you can share your product or service line with people through channels such as Facebook, Pinterest, Twitter, LinkedIn, and Instagram. There are hundreds of strategies you can implement to generate buzz about your brand on these channels. One is by hosting Twitter polls in which you ask your audience to answer questions such as "Which of our products do you find the most useful?" or "Which of our discontinued goods would you like us to bring back?" 2. Read More Books Related To The Business Sphere. 3. Reward Employees Who Work Hard. One great way to build your business is by rewarding employees who work hard. This approach is effective because it ensures that your staff is motivated to operate in excellence. There are several simple ways that you can reward employees who consistently go above and beyond the call of duty. One is by providing them with tickets to adult ice hockey tournaments Walboro MA residents enjoy. You can learn more about hockey seasons and ticket availability by visiting the Official Website of the New England Senior Hockey League. Business growth happens when company leaders make systematic, strategic changes. With this idea in mind, don't procrastinate or hesitate if you're serious about making your organization increasingly successful. Instead, get the growth process underway immediately by using key strategies like implementing a social media optimization plan, reading more books about business, and rewarding employees who work hard.